Born in Norway in 1915, he grew up during the difficult times of war and unemployment that characterised the early 20th century. But this did not stop his unquenchable thirst for new ideas. Instead of just waiting for a job to come along, he placed an ad saying: "Worker available for 100 crowns". He soon landed a job paying 60 crowns a month working in a factory that made machinery for the clothing industry. Using the technical expertise that he gained in the area of knitting machines, he went on to set up his own company, Odlo Fabrikker A/S. To get the company up and running, Lofterød bought his first knitting and sewing machines from his former employer. He also had the foresight to trademark his brand name worldwide. Odd Roar Lofterød was never short of ideas, but he was short of raw materials, which were very hard to come by at the time. In 1947 he started manufacturing ladies' underwear, but he soon had a new idea. His son Odd Roar Junior was training with the Norwegian junior speed skating team. To save his son from freezing during training sessions, Odd Roar designed a new kind of training suit using Helanca fibre. As soon as Odd Roar Junior pulled on the suit at the team's training camp, his teammates were blown away. Soon top athletes were keen to try it out - everyone wanted a Helanca suit! In 1963 he developed a warm, stretchy, high-performance suit for cross-country skiers and speed skaters using Helanca synthetic fibre. The Norwegian Olympic team wore the revolutionary new clothing at the 1964 Winter Games in Innsbruck and by the time the Winter Olympics in Sapporo came around in 1972, there were 22 national teams competing in Odlo gear. The following year, 1973, the company introduced Odlo Termic onto the market, the first fully synthetic range of functional sports underwear. Speed skaters were once again the inspiration behind this innovation. Cotton underwear had proven to be impractical, so skaters tended to just wear a pair of briefs under the Helanca suit, even when it was minus 20 degrees. In 1994 Odlo launched its Running and Outdoor collections. Over the years, Odlo has always designed its clothing in line with the principle of "from the skin up". Every range of clothing is designed from the inside out, because athletes can only really enjoy their sport and perform at their very best when they feel good - from the skin up. The company achieved another major breakthrough in the area of fabric technology in 2002 with the development of the Effect by Odlo fabric and the launch of the first underwear range to incorporate odour-reducing silver ions. Within two years, all the company's underwear was made from this new fabric. In 2003 Odlo's image was given a makeover. A comprehensive rebranding exercise resulted in a new logo, a clear market positioning and a new philosophy: "passion for sports". The new image appealed to retailers and end consumers alike and over the next few years this was reflected by double-digit growth in sales. With the launch of its Nordic Walking collection in 2004, Odlo was quick to recognise the emergence of a new trend. In this way it was able to position itself as the market leader in this particular segment right from the start. One year later came the universal, high-performance "Just One" T-shirt. Its double-knit technology helps the wearer to keep cool when temperatures start to rise. The company's investment in research and development was paying off. In 2006 another milestone was achieved with the launch of Cubic. This ultra-lightweight, knitted fabric has a three-dimensional cubic construction to ensure optimum temperature regulation. Cubic was integrated into the sports underwear range and has been recognised with a number of awards. In 2007 Odlo applied its knowledge and experience to creating a new Kids collection. For the first time, Odlo offered children a collection encompassing all three layers. The company continued to grow and invested in additional retail space. 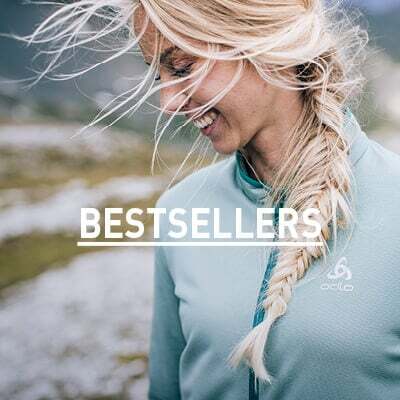 In 2007 it opened 6 new Odlo stores in Europe and more than 100 additional shop-in-shop systems offering a wide range of Odlo sports clothing. In 2008 Odlo introduced an advanced version of its seamless, close-fitting Evolution Light sports underwear range, which was first launched in 2003. It also presented its new generation of sports bras. These ranges were both the result of in-house research and development work on the part of the Swiss manufacturer. In 2010 Odlo won two international awards for the seamless race suit worn by top Norwegian biathlete Ole Einar Bjørndalen. The Red Dot Design Award was given for the suit's outstanding design, while the Plus X Award was presented for innovation and functionality. At the Winter Olympics in Vancouver, Odlo was one of the most popular Nordic ski sports brands amongst athletes. In summer 2011 Odlo launched the new Bike collection for mountain and road bikers. Now Odlo could offer year-round performance clothing to meet the needs of all sports enthusiasts. The Temperature Control System provided the basis for a unique sports underwear concept that offered the perfect underwear for all temperatures and performance levels. For Winter 12/13, Odlo launched Evolution Greentec, the first seamless underwear to be made from 100% recyclable material. The company had developed a range of sustainable underwear to meet the highest standards of performance and functionality. The green thread used in the range stands for an outstanding level of sustainability and environmental compatibility. This new range won numerous awards even before it came on the market. Winter 13/14 saw yet another innovation with the launch of Odlo's new Muscle Force range. 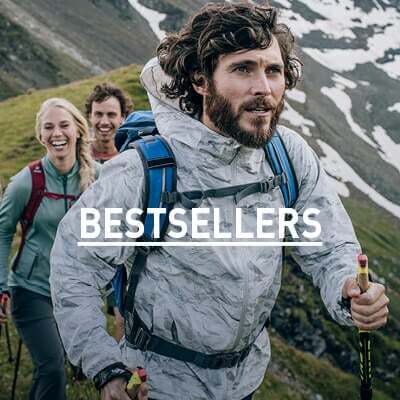 The underwear range is specifically designed for downhill skiers and ski tourers. Specific compression areas minimise muscle vibrations to help stave off muscle fatigue. During 2013, Odlo also revamped its corporate identity and corporate design with new visuals, typography and design language to give the brand and its products a contemporary, modern look. For Winter 14/15 Odlo expanded its existing Highline and Zeromiles product ranges. The Highline range includes clothing for ski touring and downhill skiing and for wearing before and after skiing. Zeromiles is a stylish premium clothing line inspired by the brand's Norwegian roots and traditional Swiss quality.